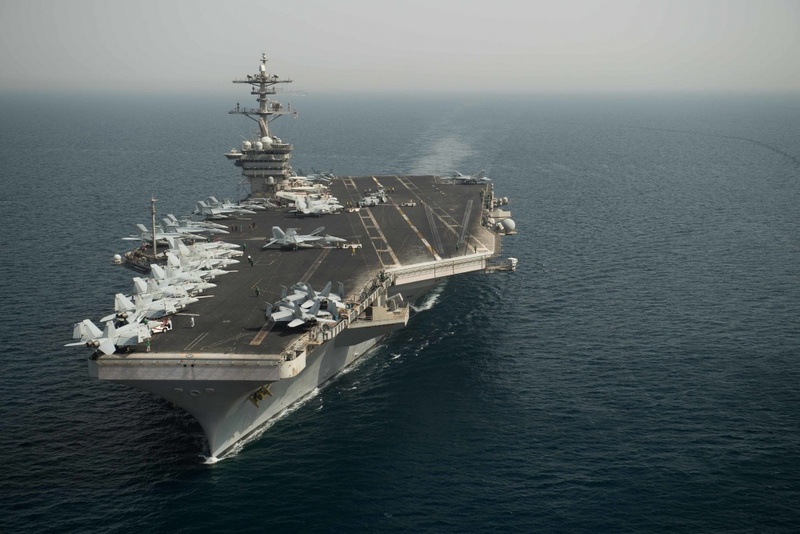 After more than four months operating in the Middle East, USS Theodore Roosevelt (CVN-71) and the ships of Carrier Strike Group (CSG) 9 have left U.S. 5th Fleet and entered the U.S. 7th Fleet area of operations in the Indian Ocean. While in 7th Fleet, the Roosevelt Strike Group is expected to take part in various exercises with other navies and address shared maritime security concerns, according to a Navy statement. The Roosevelt CRG left its homeport of San Diego in October. While transiting through 7th Fleet en route to its mission in the Middle East, the strike group conducted a Fleet Problems exercise from San Diego to Hawaii, stopped in Guam for air-to-ground training, and participated in three-carrier strike force operations in the Sea of Japan. 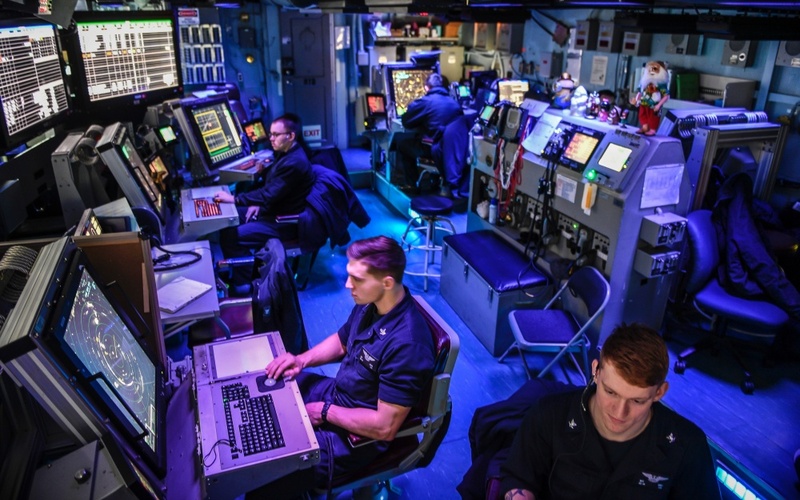 While in 5th Fleet, the Roosevelt CSG conducted missions against ISIS, maritime security operations, and coordinated activities with ships from the French and Australian navies. “Our time spent supporting combat operations has helped contribute to the progress being made in the defeat ISIS campaign,” Capt. Chris Ford, commander of Carrier Air Wing (CVW) 17, said in a release. Joining Theodore Roosevelt were guided-missile destroyers USS Halsey (DDG-97), USS Sampson (DDG-102) and USS Preble (DDG-88) and guided-missile cruiser USS Bunker Hill (CG-52). This is the first operational deployment for Roosevelt since changing its homeport to San Diego from Norfolk, as part of a three-carrier hull swap in 2015. As part of homeport shift, USS Ronald Reagan (CVN-76) moved to Yokosuka, Japan, as the Forward Deployed Naval Force carrier, and USS George Washington (CVN-73) began a four-year mid-life refueling and complex overhaul at Newport News Shipbuilding in Virginia. While in the Middle East, Theodore Roosevelt was the first aircraft carrier to simultaneously launch missions supporting two operations in two separate geographic locations in one day. Elements of CVW 17 flew missions over Iraq and Syria, while other elements flew missions to Afghanistan, according to a Navy statement. “We have made it our priority to meet every tasking in support of counterterrorism operations and the defeat of ISIS,” Rear Adm. Steve Koehler, commander of CSG 9 aboard Theodore Roosevelt, said in a release.